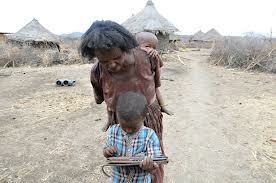 A recent article in MIT Technology Review reports on how One Laptop Per Child project, led by Nicholas Negroponte, has morphed into One Tablet Per Child – and how children in a remote Ethiopian village, with no access to schooling, have conquered tablet computers with preloaded programs in English with exceptional speed! They even hacked the tablets and enabled disabled cameras! * Re-election of Barack Obama. By suspending his campaigning, and showing real leadership (stark contrast to President Bush’s behavior during Hurricane Katrina), I believe Obama has ensured he will be re-elected on Tuesday, in a close squeaker election. One or two percent of the voters will be enough to tip the scales. Sorry, Mitt. But it looks like Divine Providence is not with you. Had it not been for Sandy, you might have won. You might want to litigate…someone! * Economy: With Wall St. (NYSE) closed for two straight days, first time since 1888, and with stores and businesses shut, there are immediate losses. But the wave of spending caused by purchases linked to rebuilding will be a strong stimulus to the economy, and GDP will increase. Question is, why do we need a hurricane, to generate the spending that we could have generated without it (as the Chinese have done)? * Community: As always in a crisis, people have come together to help one another. Again – why do we need a hurricane, to rebuild and strengthen our sense of neighborliness and mutual help? * The puny power of human beings: Again, we are reminded that we human beings, who believe ourselves all-powerful, omniscient, are helpless in the face of the rage of Nature. Can we for once accept that we need to be wise and thoughtful ‘renters’ on this planet, rather than arrogant, wasteful, destructive ‘owners’ of it? Our landlord has provided a tough warning – let’s heed it! And who now doubts global warming, when weather has become so violent and extreme? Some 68 years ago, in early July 1944, leaders of the 40 Allied countries fighting WWII met at a lovely resort hotel in Bretton Woods, New Hampshire, Hotel Mt. Washington, nestled at the foot of Mt. Washington. Their mission: Reinvent the global economy, destroyed by war. They had a time limit: Three weeks! Why? Because the millionaires of Boston had reserved rooms for their summer vacation in the mountains, and the Hotel had no intention of angering good paying customers, Boston Brahmins. The leading intellectual at the meeting was the British economist J.M. Keynes (Lord Keynes), already tired and ill and soon to die. Under his aegis, the gathering created the World Bank, the IMF, the Bank for International Settlements, GATT (General Agreement on Tariffs and Trade), and several other breakthroughs. They laid the foundation for the new global trading system that created wealth for Asian nations, helped European nations recover, and ultimately brought down communism and ended the Cold War. The productive meeting stands in stark contrast to world leaders’ utter impotence to reach any meaningful agreement on anything, even within Europe. But the Bretton Woods gathering failed in one key task, and the world is paying a heavy price for that error today. Keynes recommended establishing a world central bank. That made a lot of sense – create a world Fed, or Bank of England, or ECB, that could monitor global credit and ensure liquidity to fund trade and investment – just the right amount, not too much, not too little. But America was opposed. 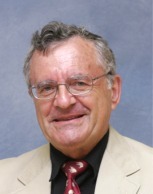 The dollar is the world currency, said Treasury official Harry Dexter White. But it isn’t. As America prints dollars maniacally, the dollar is losing its role as the stable global money. And without stable money, it is hard to run the global financial system. Recently, a U.S. Treasury official rummaging in the library stumbled on a transcript of the 1944 Bretton Woods conference. We will soon be able to read in detail how leaders and economists did so much in so little time. 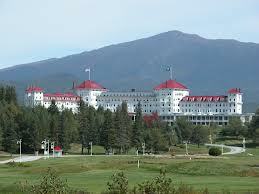 Perhaps this will even help us to recreate Bretton Woods. Why not convene experts and leaders, in precisely the same spot? (I once visited Hotel Mt. Washington; it has been restored, it is lovelier than ever, in a pastoral location, and if they wish, world leaders and economists can even hike up the mountain, after they solve the world’s problems..or take the original coal-fired steam engine up the mountain). Perhaps the mountain air and the rich history will inspire them. Was Jan van Eyck an Alien? Are YOU an Alien? Jan van Eyck was a leading Dutch painter, of the 15th C. A new exhibition of his works opens in Rotterdam, at a leading museum. What is unusual about the exhibition is its thesis: Was Jan van Eyck an …..alien? 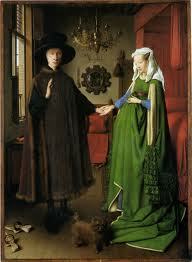 Until van Eyck, painters painted things as they are. They made strenuous efforts to get the precise color and shape of things right. To paint gold, they used gold leaf..if they could afford it. Not van Eyck. He painted gold, as the reflections of things in the gold…yellow, black, white. He was an early kind of Impressionist. He broke the rules. He did it his way. In the portrait shown above, of a pregnant woman and her husband, there is a small mirror in the background. Some think the mirror reflects not van Eyck himself, the painter, but those who are actually looking at the painting – you and me! If you are a radical innovator, then one day people will raise the same question about YOU – are you an alien? Are your ideas so weird, so rule-breaking, so out of the ordinary, that, well, you cannot be a human, because human beings do what other human beings do. Aliens do…what weird aliens do. Judge your innovations by this criterion: Will this innovation one day earn me an exhibition, raising the question, was he or she from Krypton (Superman’s planet) or Mars? REAL Organic Farming: IT Works! Close relatives live in the Western Negev (desert) in Israel and have large hothouses, where they raise amazing cherry tomatoes, artichokes, peppers and other vegetables. Initially, they farmed organically, using only natural products (like sulphur) as pesticides, while covering the plants with plastic, and planting them through a plastic ground covering. As religious people, they followed the rules of organic farming, which have become increasingly strict. It wasn’t easy. Then, they discovered that other ‘organic farmers’ were in fact using pesticides in secret. It’s very hard to regulate. As religious people, they could not tell a lie, nor could they compete with the fake organic farmers. So they ceased being ‘organic’. This is a shame. Because today’s Global New York Times has an Op-Ed by Mark Bittman, describing research done at Iowa State U. (one of the world leaders in agricultural research), on Marsden Farm. On 22 acres, starting in 2003, researchers set up 3 plots: a) typical Midwest pattern, corn one year, soybeans the next, with chemicals; b) 3-year cycle, including oats; c) four-year cycle, planting alfalfa, oats, corn and soybeans alternately, no chemicals. Guess what! The longer rotation, c) produced better results, cut the need for nitrogen fertilizer and herbicides by 88 per cent, reduced toxins in groundwater 200 fold, and kept profits the same. 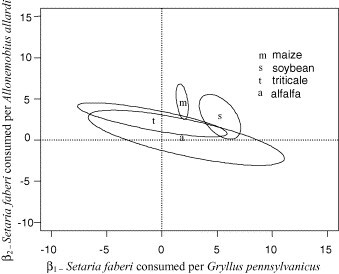 So – it IS possible to propagate true organic farming, based on crop rotation. We’ve known this for years. I grew up in Saskatchewan. Farmers there planted wheat every year, used up the topsoil, and the result was the Dust Bowl, the Great Depression, when the land dried up and the topsoil simply blew away. After that, fallow (land left unused) became the practice. How can we spread the word to governments and to farmers, that you CAN do organic farming honestly, in ways that don’t hurt profits? It’s better for consumers, for farmers, and certainly for our distressed planet and our groundwater. So spread the word. Remember – Marsden Farm. By the way, the US Department of Agriculture has not bothered to publicize the study. Apparently they are still committed to the old style ‘plaster the bugs with poison’ method. A student passed on a great new book to me: Steal Like an Artist, by Austin Kleon, about how to be creativity. Here are some rules…for breaking the rules. 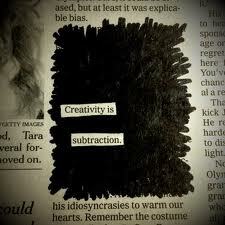 “Creativity is subtraction”. Not ‘addition’. Choose what to leave out. There is massive information overload. It’s too easy to add stuff, instead of simplifying, cleaning and reducing complexity. Think first about all the stuff you can leave out. How many words did Dr. Seuss use, in Cat in the Hat? 236 ! Why? Because his editor asked for such a book. And he discovered subtraction was his secret weapon. “Use your hands!” Step away from the screen. In this digital age, use your digits (fingers). Bring your body into your work, not just your typing fingers. “Steal Like an Artist”. How does an artist think? What can I borrow (from this work of art), or actually, ‘steal’? Figure out what is worth stealing…then move on. Stop worrying about what is good or bad. Just figure out what is worth stealing, what you can use. Then move on. Everything is up for grabs. That is why the art world progresses…you can’t patent an artful idea. I think patents have gone way beyond the original intention..they try to lock up stuff you can’t ‘borrow’..and innovation suffers. Remember, nothing is original. Most of the time, somebody thought of it, maybe long ago. So stop worrying about originality. Think about execution, action. The Bible got it right: “There is nothing new under the sun” (Ecclesiastes, 1:9). How Nobelist Al Roth Fixes Broken Markets: Can He Fix Finance? This year’s Economics Nobel was awarded to Harvard Prof. Al Roth, along with fellow game theorist Lloyd Shapley. 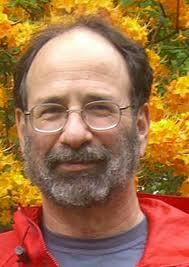 Roth’s work is in a rather abstract branch of mathematics known as game theory. But it turns out to be highly practical. It has helped people who need kidney transplants. Here is why. “In short, Roth has determined that successful marketplaces require three key elements. “They must be thick, uncongested, and safe,” he says. “Market design teaches us both about the details of market institutions and about the general tasks markets have to perform.”Having sufficient “thickness” means there are enough participants in the market to make it thrive. “Congestion” is what can happen when markets get too thick too fast: there are heaps of potential players, but not enough time for transactions to be made, accepted, or rejected effectively. “Safety” refers to an environment in which all parties feel secure enough to make decisions based on their best interests, rather than attempts to game a flawed system. “In 2004, he and fellow economists Tayfun Sönmez and M. Utku Ünver coauthored a paper showing that the kidney exchange market would benefit from an official clearinghouse that included a computerized database of incompatible patient-donor pairs. In addition to direct exchanges, the paper described exchanges that included three- and four-way matches—as well as a system in which a donor could give a kidney to a stranger in exchange for the donor’s loved one receiving high priority on the cadaver waiting list. Now, the real challenge. Can Nobelist Roth fix the world’s broken financial markets? They are THICK. But they are pretty CONGESTED. Too many players, too fast trading. But safe??? Do we trust the banks and those who trade? A survey shows only 15% of Americans now trust their stock market. How in the world do we restore that trust? Financial markets may be one market even the brilliance of Al Roth cannot fix. What in the world is the world’s REAL problem? What in the world is the REAL problem? 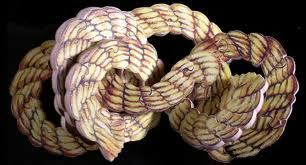 Gordian knot: How to untangle it? The International Monetary Fund has issued a pessimistic World Economic Outlook, forecasting slow growth for the next 5 years worldwide. There is some comfort in knowing that economists are nearly always wrong. But just for this once, they may be right. But they are NOT right in their diagnosis – the root of the problem is not necessarily ‘fiscal austerity’. (The IMF shows countries with the most fiscal austerity, i.e. budget cuts, grow the slowest). The root of the problem in the world is not economic, fiscal, or financial. It is geopolitical. There is indeed a shortage in the world, but not just of demand and spending and jobs – there is a shortage of courageous political leadership and global political consensus. Each country is now trying to solve its problems by exporting them to other nations. American secretly seeks a weaker dollar to strengthen exports. So does Japan. China too keeps its currency weak. The problem is, not EVERY country can weaken its currency relative to every other country. Each country tries to export unemployment by finding ways to shut out imports. Not only does this defy WTO rules, it is logically impossible, because when every country slashes imports, every country also slashes exports (country A’s imports are country B’s exports). So everyone loses when world trade crashes. The problem is, as Henry Kissinger once observed: Capital, labor, knowledge, technology, goods, ALL are global. But politics is local, increasingly so. We may have two new countries soon: Scotland, about to vote on a referendum, and Catalonia, which is seeking greater independence from Spain. With local politics, with weak political leaders, with no real cooperation or consensus among countries, we have each nation trying to solve its problems in ways that hurt other nations, who in turn retaliate…creating a weak world economy. G8? G20? G232? They are currently without meaning. When will the world begin to recover? When someone calls a meeting, and at least the world’s top dozen nations (US China Japan Germany France UK Brazil India Canada Spain Italy Russia) convene their leaders and reach an agreed harmonized set of policies. What are the chances that will happen? Probably nearly zero. Alas. But it starts with everyone realizing the world’s problem is basically political, not economic or financial. Spread the word! What Does a Voter Do When Both Candidates Lie? Does it bug you, as it does me, when the two US Presidential candidates misrepresent each other’s positions (i.e., tell lies?). TIME magazine recently documented both candidates’ fibs. Obama: says Bain & Co was an outsourcing ‘pioneer’ (it wasn’t). Says he created ½ m. manufacturing jobs (forgot to say, that first, 1 million mfg. jobs were lost, then only half regained). Says Romney will raise taxes on the middle class by $2,000/yr. (he won’t). Says he doubled renewable energy (he didn’t, it rose only by 25%). Says a Bain Consulting co. debt write-off cost taxpayers $10 m. (it didn’t, it was paid for by FDIC, deposit insurance, funded by banks). Says Romney would deny adoption for gay couples (he won’t). Says America is less depend on oil than ever before (true, but that started in 2005 under Bush, and anyway, fracking is not an Obama creation at all). 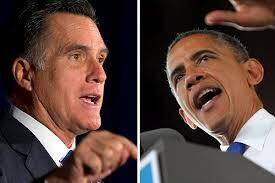 Romney: says Obama opened no new markets (he signed trade deals with Colombia, Korea, Panama). Says Obamacare is ‘takeover of the US health system’ (it isn’t, private doctors and hospitals still provide the vast majority of health care, and anyway, Obamacare is much like Romneycare initiated in Massachusetts when he was Governor). Says “America is inches from being no longer a free economy” (Heritage Foundation ranks America 10th in the world in freedom of its economy). Blames Obama for defense cuts (Republicans voted FOR them, including Paul Ryan, VP candidate). Says Obama did nothing on immigration (Obama proposed the Dream Act, it was blocked by the Republicans). There is huge cynicism among the candidates’ advisors. One says: Sure we know the facts are wrong, but who the hell cares? The ads do their job, they’re effective. Failure of each candidate to rein in these cynical, lying, cheating, swindling advisors makes each of the culpable, and unworthy to be President. I remember a time when you had to tell the truth. I guess that is no longer true. Each candidate gives politics a bad name. A Country Is a Business With a Brand: How Does YOURS Rate? Singapore, Chile, Switzerland, Qatar, Hong Kong, Sweden, Canada, UAE, Korea, New Zealand, Peru, Luxembourg, Malaysia, Finland and Denmark. USA is #28, China #35, Israel (my country) is #37, Russia is a dismal #53, and the bottom of the table is occupied by (in order) Argentina, Greece and Venezuela (where Chavez just won re-election). There are some surprises. Singapore at #1 is no surprise; Founding President Lee Kwan Yew had palm trees planted along the road from Changi Airport, in 1965-6, just to impress Intel senior executives so they would build a fab in Singapore. That mindset still exists. But look at Chile! Chile’s market economy and rapid growth are attracting investment and entrepreneurs. Look at Qatar! This tiny country is aggressive in reinventing itself. And Peru! Ireland ranks poorly. This is understandable, given Ireland’s massive debt and banking crisis. But Taoseach (PM) Enda Kenny is working to change Ireland’s brand image, and he even uses those very words. Watch Ireland closely, as it struggles to rebrand itself – a much harder task than the initial branding, because changing a bad image is harder than building a positive one from scratch. “Who is prepared to stand up and say, well, I’ll take the flak here because this is the right thing for the people and the country?”, says Kenny. His approval rating is a dismal 36%, down from over 50% when his Fine Gael party defeated Fianna Fail and won election. But he is tireless in remaking Ireland and its image, and his efforts are worth close study.